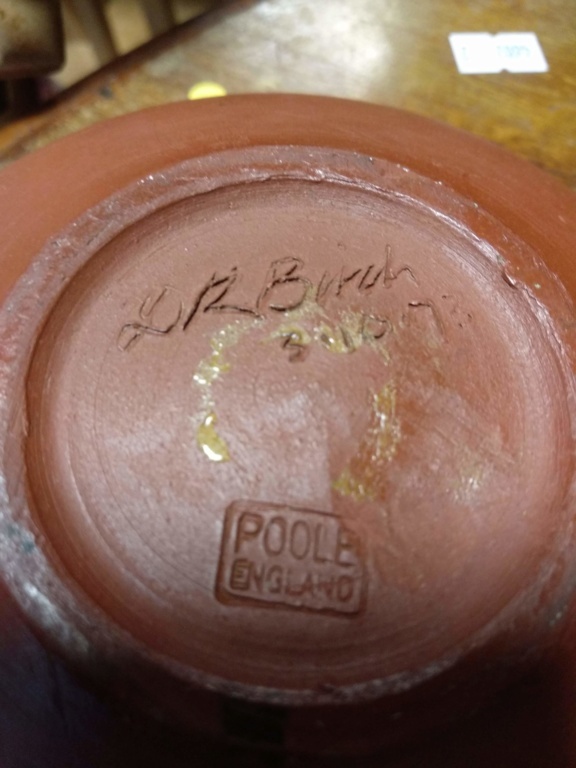 Poole Pottery identification - images in post. 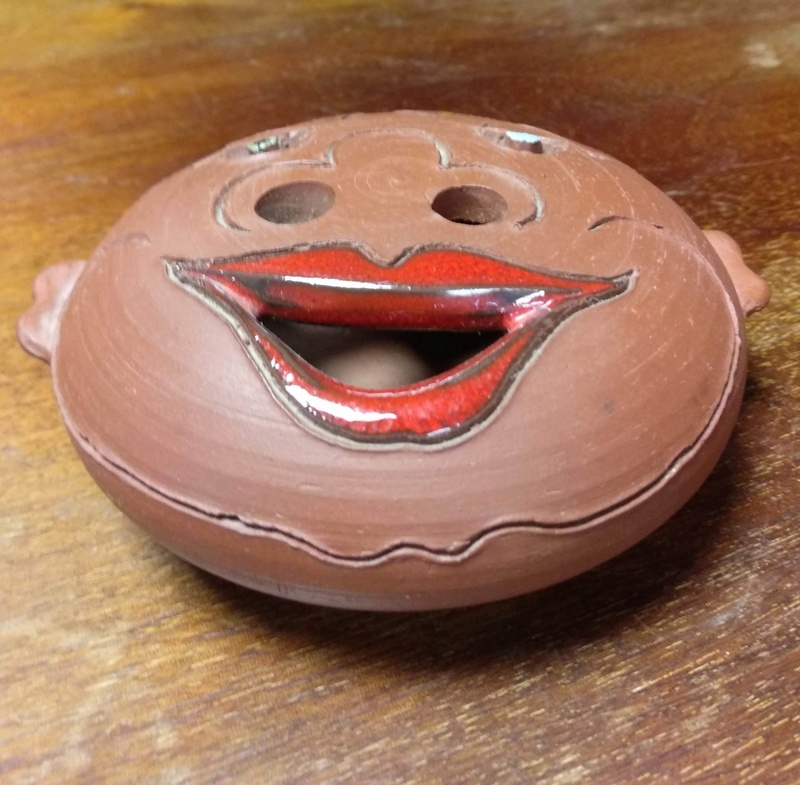 Can anyone help identify this Poole Pottery piece. I have searched all I can and simply can't find any similar piece. 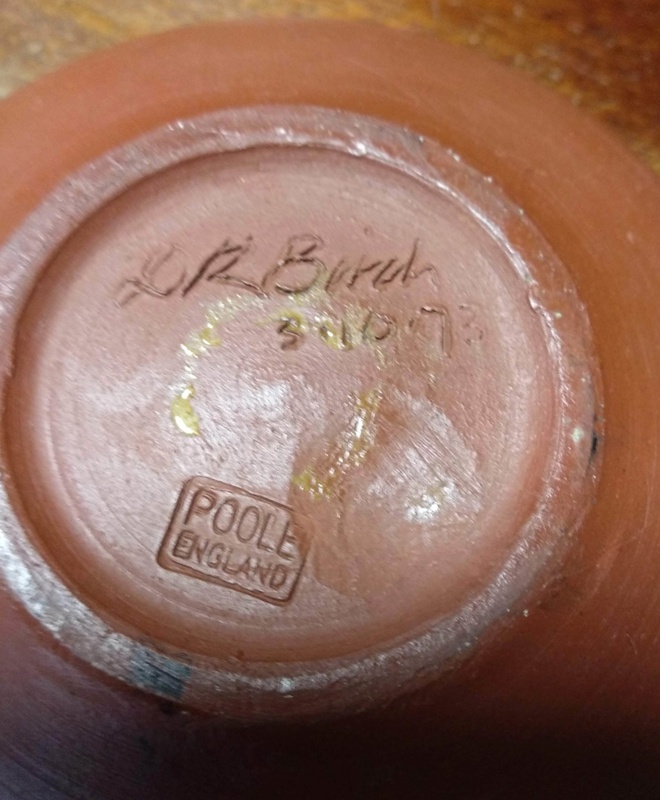 It is signed by what looks like "L R Birch 3.10.73"
Re: Poole Pottery identification - images in post. Yes, I was thinking the closet was the Atlantis rage due to the earthenware finish but despite all my searching I can't find anything at all similar. 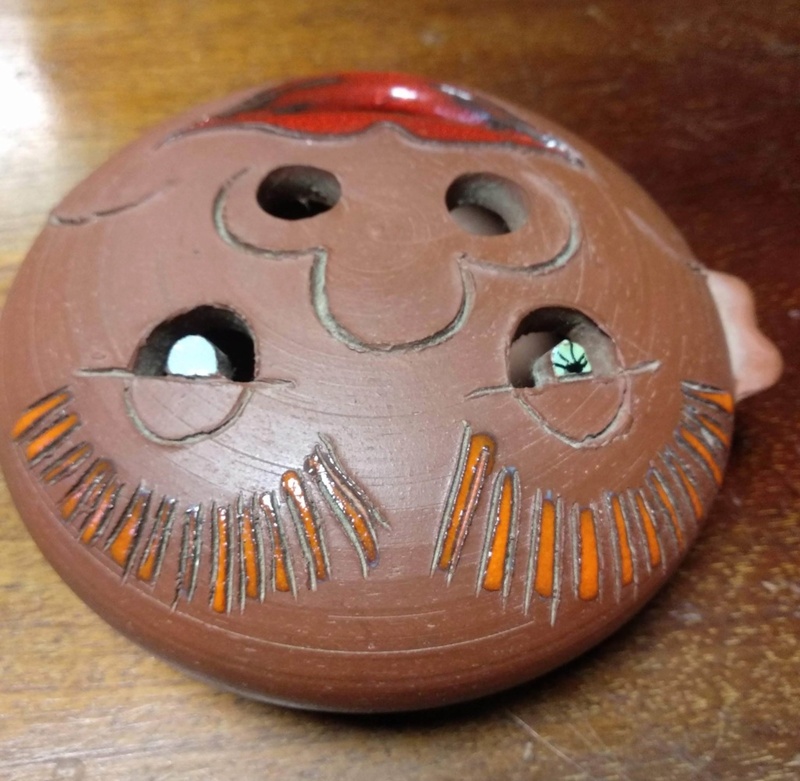 It has no function, it is 100% decorative, I can't even find anything without the decoration with a similar design. 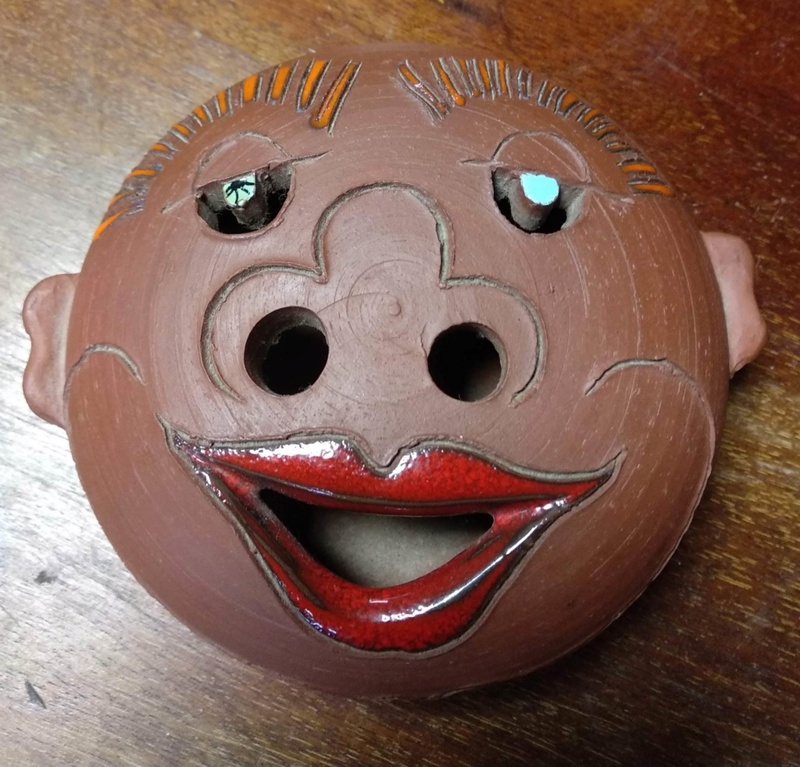 The thing is it must have always been intended to be a face as all the cut outs (mouth ears etc) are cut in and the ears are also moulded, there is nothing in the Atlantis range similar. My late brother had a huge poole collection (loads of animals mostly signed and lots of huge studio plates and vases) that I have going to auction in a couple of weeks and this is one piece that intrigued me and I hoped to get more information on, I can't even come up with anything about the artist. 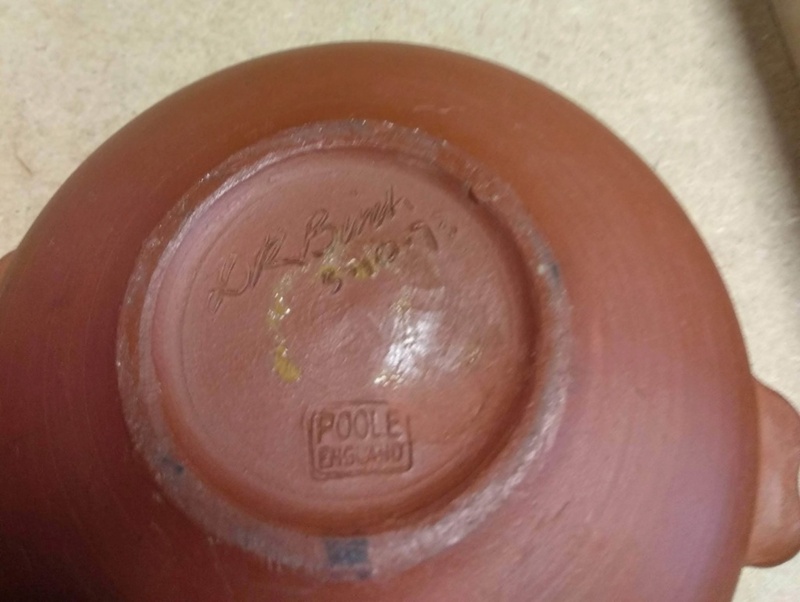 Most likely by a visitor to the pottery, rather than one of their regular decorators. Maybe a family member of one of the staff. NaomiM wrote: Most likely by a visitor to the pottery, rather than one of their regular decorators. Maybe a family member of one of the staff. 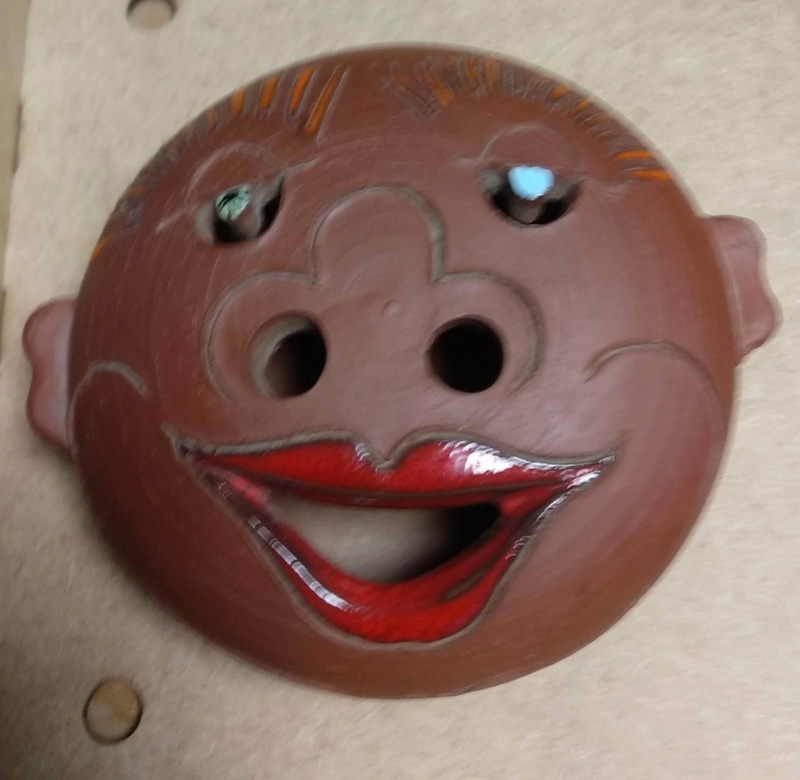 I guess that is possible, I was wondering how it was made too, as its hollow I can only assume it was thrown as two plates and afterwards moulded together while adding the ears. The basic shape looks like the A6 pebble vase which was approx 4 1/2 inches diameter. Mark 29 is also correct, and the 73 date falls within Atlantis. manufacture, maybe a trainee having a play around with a blank A6 vase? denbydump wrote: That's a possibility. 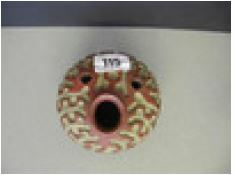 "A Guy Sydenham Portland Rocco Art red bodied carved and glazed desk pebble in the form of a sea creature." So what size is your piece? denbydump wrote: So what size is your piece? That's very interesting, it does indeed look like it might have started out as a pebble. So we come full circle Dan. What the hell is it? Thanks all, I really appreciate your input. If anyone is interested this item and all my late brothers poole collection will be auctioned at Ringwood auctions on 29th September and possible some carried over to Octobers auction. Here are some further pics that are a bit clearer.